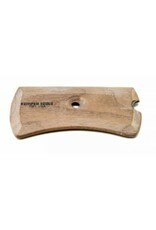 The Kemper RB1 Hardwood Potter's Rib is approximately 4-1/8” across. 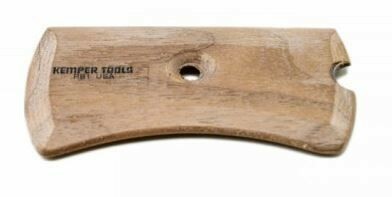 Kemper Tools Hardwood Potter's Ribs are made for the potter's wheel. They are made out of smooth-sanded hardwood and come in the basic shapes needed for opening, trimming, shaping, curving, and smoothing wet clay.